Yorkshire Cup winners, Featherstone Rovers embarrassed the touring Kangaroos, scoring three tries to one in a stunning 23-15 win at Post Office Road. The Kangaroos had started November with good wins over Bradford Northern and Halifax, but were sent crashing back to earth by a Featherstone team spearheaded by Don Fox and Terry Clawson. It was an amazing win by a club representing a town of barely 16,000 people, with the attendance that day 7,600. The only Australian try came 10 minutes from the end when halves, Bobby Bugden and Brian ‘Poppa’ Clay worked a deceptive move at a scrum inside the home team’s 25 yard area, and Murwillumbah product, Bugden, scored. Featherstone had beaten Hull 15-14 in the Yorkshire Cup final, but were not given much chance against the Kangaroos, who had beaten Great Britain 22-14 in the First Test in Leeds. But Australia’s pack lacked fire, and defenders too often fell for dummies. 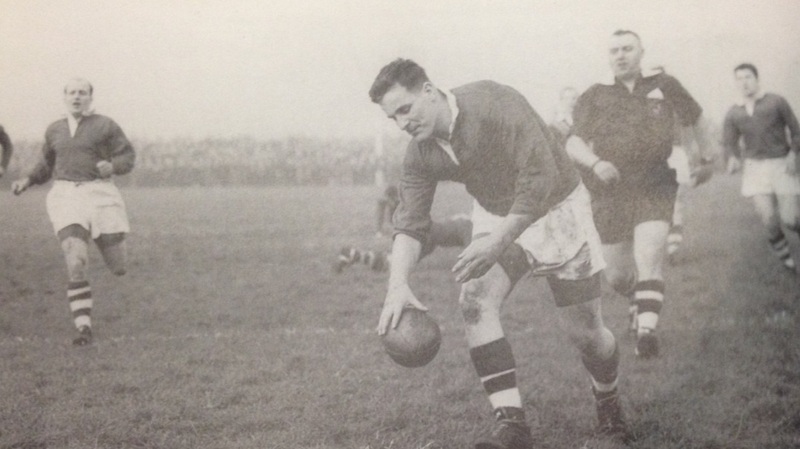 Centre, Reg Gasnier scored two tries in the November 4, 29-8 win over Bradford at Odsal Stadium. Gasnier scored one try in the 17-5 win over Halifax at a fog shrouded Thrum Hall, and was rested for the Featherstone match.